It is well known that I am a fan of Dior but when I saw Chanel's Les Beiges Healthy Glow 2014 collection my heart raced with joy. This is a collection I would love to own. I would love to own all three of these products! 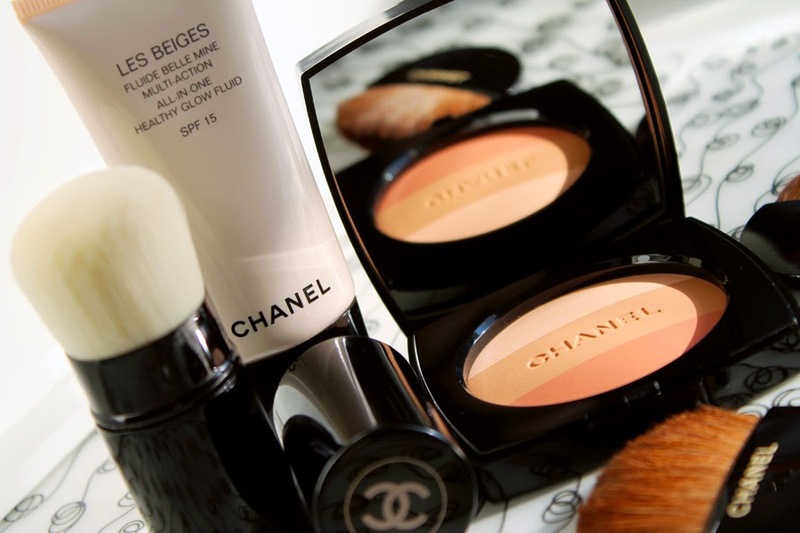 The compact is particularlly beautiful and I have personally tested out Chanel's Kabuki brush - when you brush it over your skin it feels like a facial massage. The Les Beiges All-in-one Healthy Glow Fluid is not a foundation, it is a very sheer bronzer that is used to add luminosity to your skin. The powder compact has a highlighter shade, a bronzer and cheek colour. It is so beautiful!